Will Back Bay Kayakers Need a $4.32 Lands Pass? NEWPORT BEACH — An effort by the state to charge kayakers, bird watchers and other visitors to Upper Newport Bay — commonly referred to as the “Back Bay” — was condemned by Newport Beach City Council members at a June 25 meeting, where they approved submitting a letter urging the state to reconsider the move. 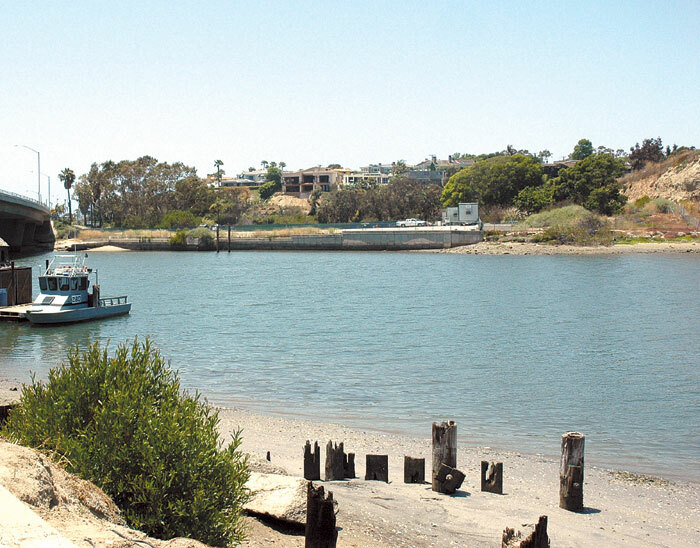 Newport Beach Mayor Keith Curry referred to the California Department of Fish and Wildlife’s (DFW’s) attempt to charge a user fee as a “misguided effort” to charge the public for accessing the Newport Bay ecological reserve. According to city staff members, the state Lands Pass requirement is an attempt by the department to raise revenue for seven reserves across the state. It has reportedly has been “on the books” for several years, but was not implemented. However, in recent weeks, signs were posted alerting people walking in the Upper Newport Bay Ecological Reserve that the DFW would be asking users to pay $4.32 per person, per day to gain access to the reserve. On June 25, the city council voted unanimously to submit a letter to DFW director Carlton Bonham, asking the DFW to reconsider the Lands Pass requirement. The letter states, in part, that the city’s own Back Bay Drive runs across nearly the entirety of the eastern side of the Upper Newport Bay Ecological Reserve. The roadway is maintained and operated by the city, to allow people to use Upper Newport Bay.